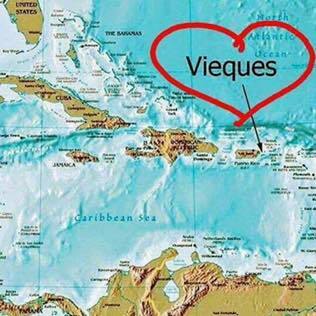 The tiny island of Vieques, Puerto Rico has been pretty much forgotten by the rest of the world, as the media shows pics of flooding in San Juan. The Vieques community members who are not on the island have come together to create resources for sharing information. There are four satellite phones on the island, and that’s how folks are being accounted for following this Category 5 hurricane that made its Puerto Rican landfall in Vieques. Sandy explains that most safe Vieques residents are not listed on the government’s lists because there’s no power, water or cell service to the island. Community-sponsored resources are more accurate.